Just how much does Washington spend on national security, all told? The Pentagon base budget of $530 billion is only about half of it, write two researchers for the National Priorities Project. Add in war funding, nuclear weapons spending, the homeland security budget, international security assistance, retirement costs and 'defense-related activities' and you're talking about an easily trimmable $1 trillion a year. Recent months have seen a flurry of headlines about cuts (often called “threats”) to the U.S. defense budget. Last week, lawmakers in the House of Representatives even passed a bill that was meant to spare national security spending from future cuts by reducing school-lunch funding and other social programs. Here, then, is a simple question that, for some curious reason, no one bothers to ask, no less answer: How much are we spending on national security these days? With major wars winding down, has Washington already cut such spending so close to the bone that further reductions would be perilous to our safety? In fact, with projected cuts added in, the national security budget in fiscal 2013 will be nearly $1 trillion -- a staggering enough sum that it’s worth taking a walk through the maze of the national security budget to see just where that money’s lodged. If you’ve heard a number for how much the U.S. spends on the military, it’s probably in the neighborhood of $530 billion. That’s the Pentagon’s base budget for fiscal 2013, and represents a 2.5% cut from 2012. But that $530 billion is merely the beginning of what the U.S. spends on national security. Let’s dig a little deeper. The Pentagon’s base budget doesn’t include war funding, which in recent years has been well over $100 billion. With U.S. troops withdrawn from Iraq and troop levels falling in Afghanistan, you might think that war funding would be plummeting as well. In fact, it will drop to a mere $88 billion in fiscal 2013. By way of comparison, the federal government will spend around $64 billion on education that same year. Add in war funding, and our national security total jumps to $618 billion. And we’re still just getting started. The U.S. military maintains an arsenal of nuclear weapons. You might assume that we’ve already accounted for nukes in the Pentagon’s $530 billion base budget. But you’d be wrong. Funding for nuclear weapons falls under the Department of Energy (DOE), so it’s a number you rarely hear. 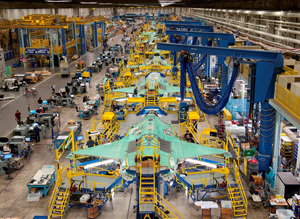 In fiscal 2013, we’ll be spending $11.5 billion on weapons and related programs at the DOE. And disposal of nuclear waste is expensive, so add another $6.4 billion for weapons cleanup. Now, we’re at $636 billion and counting. How about homeland security? We’ve got to figure that in, too. There’s the Department of Homeland Security (DHS), which will run taxpayers $35.5 billion for its national security activities in fiscal 2013. But there’s funding for homeland security squirreled away in just about every other federal agency as well. Think, for example, about programs to secure the food supply, funded through the U.S. Department of Agriculture. So add another $13.5 billion for homeland security at federal agencies other than DHS. That brings our total to $685 billion. Then there’s the international affairs budget, another obscure corner of the federal budget that just happens to be jammed with national security funds. For fiscal 2013, $8 billion in additional war funding for Iraq and Afghanistan is hidden away there. There’s also $14 billion for what’s called “international security assistance” -- that’s part of the weapons and training Washington offers foreign militaries around the world. Plus there’s $2 billion for “peacekeeping operations,” money U.S. taxpayers send overseas to help fund military operations handled by international organizations and our allies. That brings our national security total up to $709 billion. We can’t forget the cost of caring for our nation’s veterans, including those wounded in our recent wars. That’s an important as well as hefty share of national security funding. In 2013, veterans programs will cost the federal government $138 billion. That brings us to $847 billion -- and we’re not done yet. Taxpayers also fund pensions and other retirement benefits for non-veteran military retirees, which will cost $55 billion next year. And then there are the retirement costs for civilians who worked at the Department of Defense and now draw pensions and benefits. The federal government doesn’t publish a number on this, but based on the share of the federal workforce employed at the Pentagon, we can estimate that its civilian retirees will cost taxpayers around $21 billion in 2013. By now, we’ve made it to $923 billion -- and we’re finally almost done. Just one more thing to add in, a miscellaneous defense account that’s separate from the defense base budget. It’s called “defense-related activities,” and it’s got $8 billion in it for 2013. That brings our grand total to an astonishing $931 billion. And this will turn out to be a conservative figure. We won’t spend less than that, but among other things, it doesn’t include the interest we’re paying on money we borrowed to fund past military operations; nor does it include portions of the National Aeronautics and Space Administration that are dedicated to national security. And we don’t know if this number captures the entire intelligence budget or not, because parts of intelligence funding are classified. For now, however, that whopping $931 billion for fiscal year 2013 will have to do. If our national security budget were its own economy, it would be the 19th largest in the world, roughly the size of Australia’s. Meanwhile, the country with the next largest military budget, China, spends a mere pittance by comparison. The most recent estimate puts China’s military funding at around $136 billion. Or think of it this way: National security accounts for one quarter of every dollar the federal government is projected to spend in 2013. And if you pull trust funds for programs like Social Security out of the equation, that figure rises to more than one third of every dollar in the projected 2013 federal budget. Yet the House recently passed legislation to spare the defense budget from cuts, arguing that the automatic spending reductions scheduled for January 2013 would compromise national security. Secretary of Defense Leon Panetta has said such automatic cuts, which would total around $55 billion in 2013, would be “disastrous” for the defense budget. To avoid them, the House would instead pull money from the National School Lunch Program, the Children’s Health Insurance Program, Medicaid, food stamps, and programs like the Social Services Block Grant, which funds Meals on Wheels, among other initiatives. Yet it wouldn’t be difficult to find savings in that $931 billion. There’s plenty of low-hanging fruit, starting with various costly weapons systems left over from the Cold War, like the Virginia class submarine, the V-22 Osprey tiltrotor aircraft, the missile defense program, and the most expensive weapons system on the planet, the F-35 jet fighter. Cutting back or cancelling some of these programs would save billions of dollars annually. In fact, Congress could find much deeper savings, but it would require fundamentally redefining national security in this country. On this issue, the American public is already several steps ahead of Washington. Americans overwhelmingly think that national security funding should be cut -- deeply. If lawmakers don’t pay closer attention to their constituents, we already know the alternative: pulling school-lunch funding. Chris Hellman and Mattea Kramer are research analysts at the National Priorities Project. They wrote the soon-to-be-published book A People’s Guide to the Federal Budget, and host weekly two-minute Budget Brief videos on YouTube. I'm still waiting for my Cold War dividend.